After being replaced by a self-checkout machine at the grocery store, Clete Wilson finds his schedule wide open. 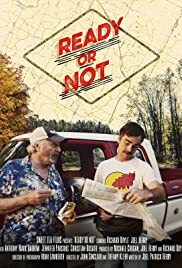 A surprise road trip with his dad back to the old family farm reveals that life keeps moving, whether you're ready or not. Loved this movie! Super creative and witty. Can't wait to watch more from this group!